This is an 8 tsp sampler enough to make just one 2-3" cookie to try our granola cereal base blend. 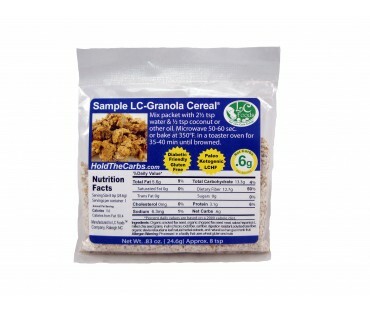 Our low carb granola cereal mix is easy to make. Tastes delicious AND gluten free!